The investigation into the problems facing Navantia-built HMAS Canberra and HMAS Adelaide continue, with Navantia Australia’s managing director unable to confirm when the problem is expected to be resolved. Speaking to Defence Connect, Francisco Barón said although they are unable to disclose an time frame on when both amphibious ships will be at full operational capability, he is confident the problems are "not really an issue". "We are working in the collaborative environment so we are putting all our expertise available to the Navy," Barón said. "As you can understand the RAN are leading the process and we cannot elaborate, there's too much coverage in the media, and from that point of view we leave this to the people in Defence to comment, but we are working on it. "I am very optimistic that this is something that is not really an issue whatsoever ... you have a car, it has a few issues, you have to go over them." 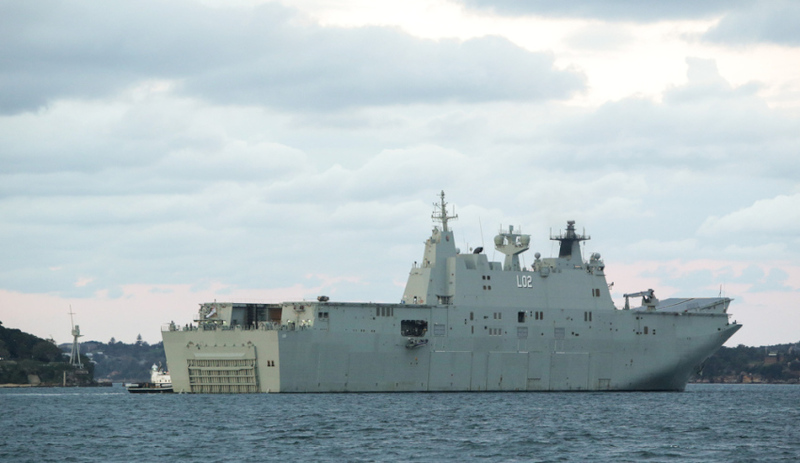 At this stage HMAS Adelaide will no longer participate in next month's planned Talisman Sabre exercises with the US, and it remains too early to determine whether HMAS Canberra will take part. HMAS Canberra was commissioned into service in 2014, while her sister ship HMAS Adelaide was commissioned 18 months ago. The vessels were both built in Spain by Navantia but the engines were installed by engineers from Siemens before maintenance was carried out by BAE Systems engineers. Both ships have been docked at Sydney's Garden Island since March this year and many theories about the problems with the vessels have been put forward. Minister for Defence Industry Christopher Pyne has previously denied reports that the wrong oil was put in the engines of the $1.5 billion warships. "There are two landing helicopters dock [LHDs] or helicopter carriers, if you like," said Minister Pyne. "One of them was discovered to have a propulsion problem when it was out on manoeuvres and to check whether the other one had the same issues. That was looked at, it was found to have the same issues so both are being fixed in routine maintenance programs as is normally the case. It certainly had nothing to do with oil, I don’t know where that story came from." The minister also echoed Barón's comments that any problems with the ships are minor. "It’s not a big stuff up, it’s a very minor problem that is being beaten up out of all proportions. We have many other ships of the line that are in practice right now, out on the seas and these will be fixed," Minister Pyne said. "I doubt that [it will take six months to fix] very much ... it's not a major problem." More recently the Minister added "the reality is that there are very many platforms in our armed forces ... Nobody ever expects a piece of equipment to never have a problem in its entire lifetime. It’s good that these problems have been discovered now when the ships are not in any kind of active duty."